During 2010/11 I undertook a residency at Chelsea College, University of the Arts London. 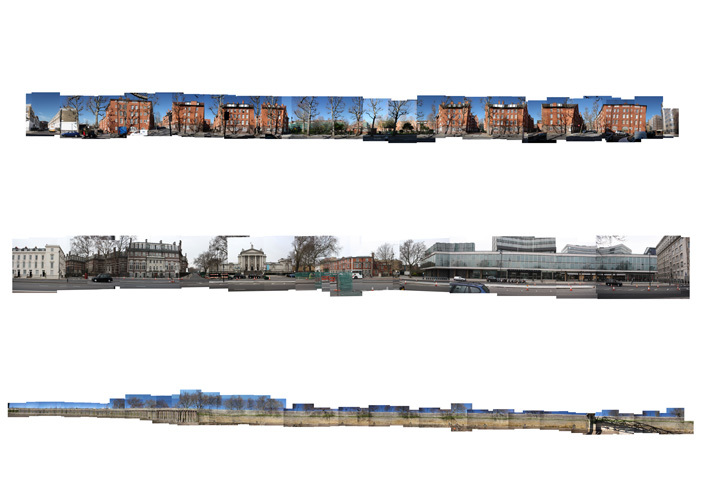 I developed work about Millbank, the area in which the College is sited anddocumented the process of my project in a wiki. 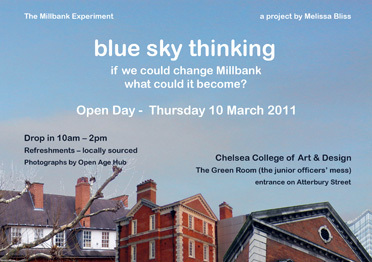 Work from the residency included Blue Sky Thinking, The Millbank Experiment and Snipe Hunting. An event which brought together people who lived, worked and studied in the Millbank area, including people from the Royal Army Medical College and military hospital on the site. The invitation here. 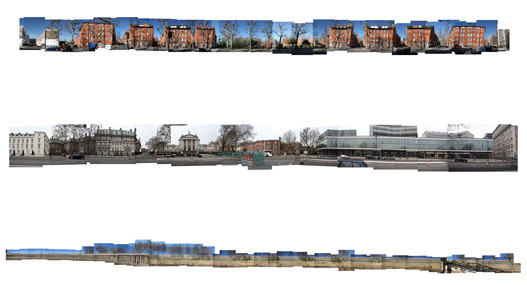 This digital print of collaged photographs of three parallel route through Millbank: john Islip Street, Millbank and the Thames foreshore came out of photography work with older people who live in the area. It was shown at Shall/Will at Camberbwell Space (28 March - 20 April 2011). I led a collaborative tour of Chelsea College and Millbank, tracing histories of the area and bringing out the stories of the people who lived, worked and studied there. People who spoke on the walk included current Chelsea College students from the Uk and abroad, people who live on the Millbank Estate and who who worked as doctors, nurses and in laboratories in teh Royal Army Meidcal Corps and the Queen Alexandra Military Hospital (now part of Tate Britain).